The Latonia Small Area Study Strategic Action Committee (SAS) and The Center for Great Neighborhoods received a grant from the National Trust for Historic Preservation last year to raise awareness about Ritte’s East Historic District and the benefits of living within a historic district. 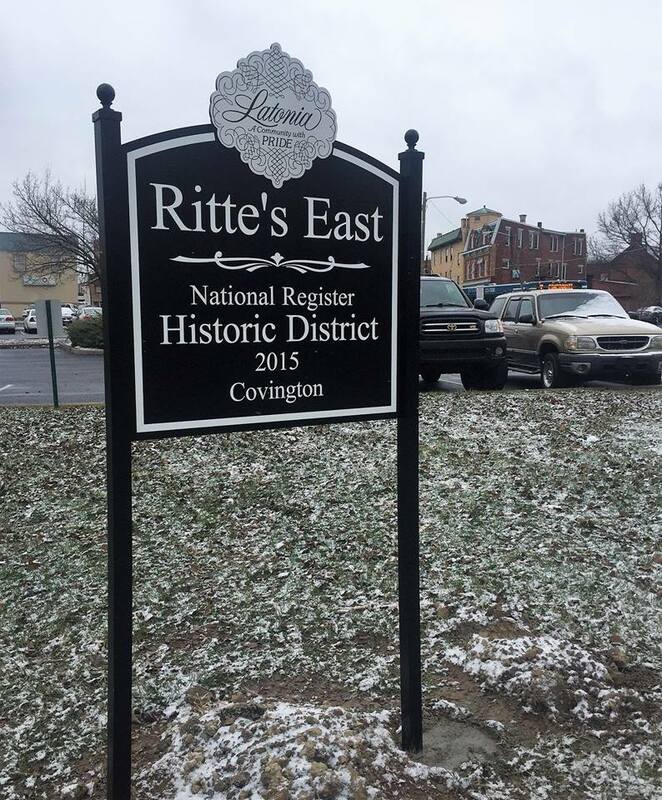 In addition to these signs, the SAS group created “Kentucky Historic Preservation Tax Credits: What, Why, and How,” a simple guide explaining historic tax credits to Kentucky property owners within historic districts. The Latonia SAS meets on the 4th Thursday every month at 6pm to discuss small area study recommendations and work toward revitalizing Latonia into an area that is attractive and engaging for all segments of a vital community: youth, young families, adults, seniors, business owners/operators, and more! All are welcome to attend the meetings. Contact Planning and Development Services or The Center for Great Neighborhoods for more information.